I make handthrown Raku ceramics, I use a technique of slip resist Raku alongside traditional Raku crackle glazes. I am interested by the surface qualities that can be achieved by the Raku process and am currently experimenting with new glazes. 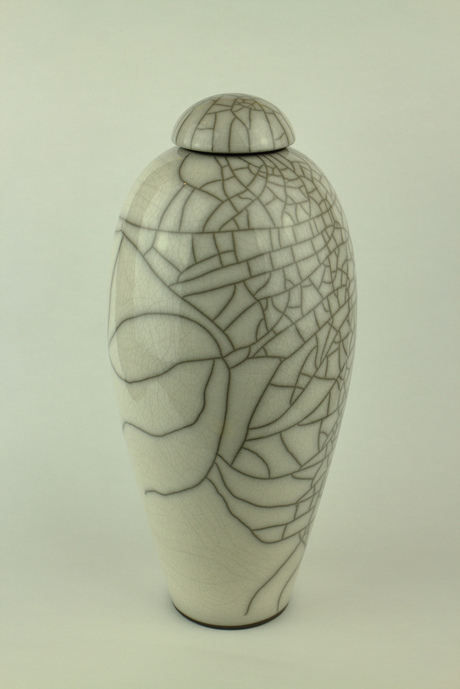 I have been producing Raku since 1996 after completing my HND in Ceramics & Glass at Plymouth College of Art & Design. I have recently started a degree in Applied Arts and this has pushed my work in a new direction. This newer work is in a much looser style and contrasts the precise nature of my thrown slip resist work.